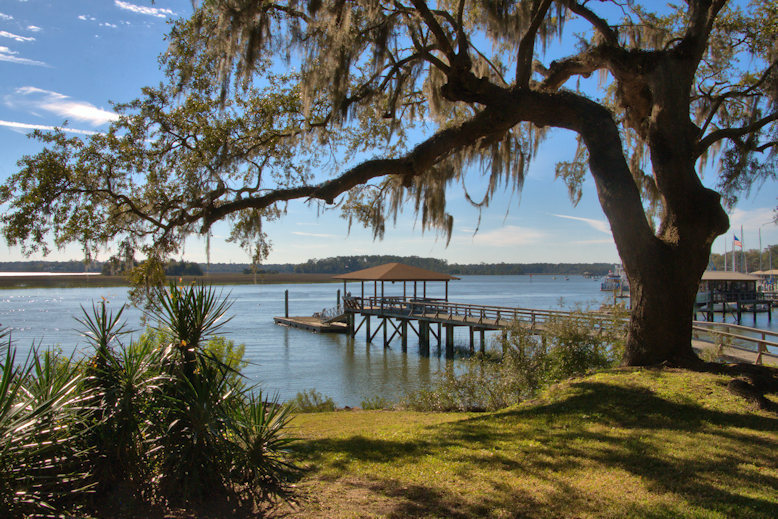 Views of the Skidaway River from Bluff Drive are among Isle of Hope’s most appealing qualities, emblematic of the slower pace that residents enjoy. 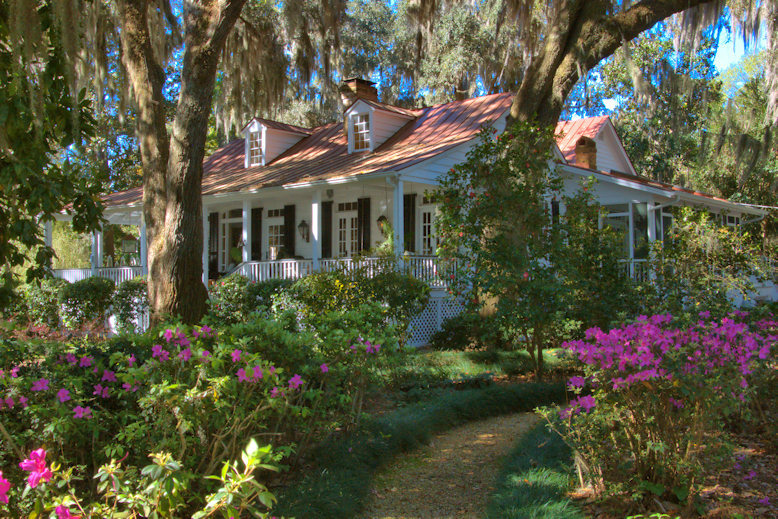 Bluff Drive and the surrounding little streets are truly among the most idyllic neighborhoods in Savannah. Noel Wright’s fascinating history of marine operations at Isle of Hope confirm their central role in the community for the better part of the 20th century. The Hallman family were among the first commercial operators in the 20th century, bolstered by Joe Hallman’s reputation as one of Savannah’s best shipbuilders. The Brady and Barbee families were also important to this early industry. 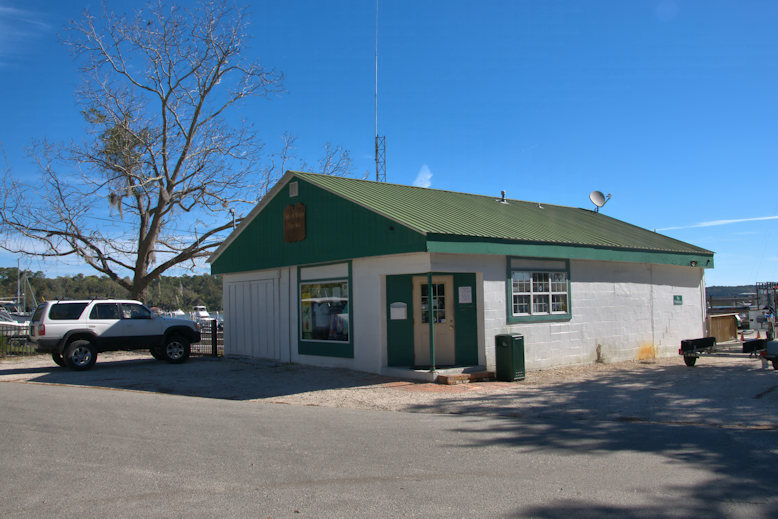 Bill Brady, brother-in-law of Willie Barbee, bought Hallman’s Fish Camp circa 1939 and renamed it Brady’s Boat Works. Mr. Wright recalls: Over the years, the marina added numerous floating docks and large covered boat wet storage sheds. They installed benches in front of the over-the-water office for customers and kibitzers, and the marina became the center of activity for the entire island. 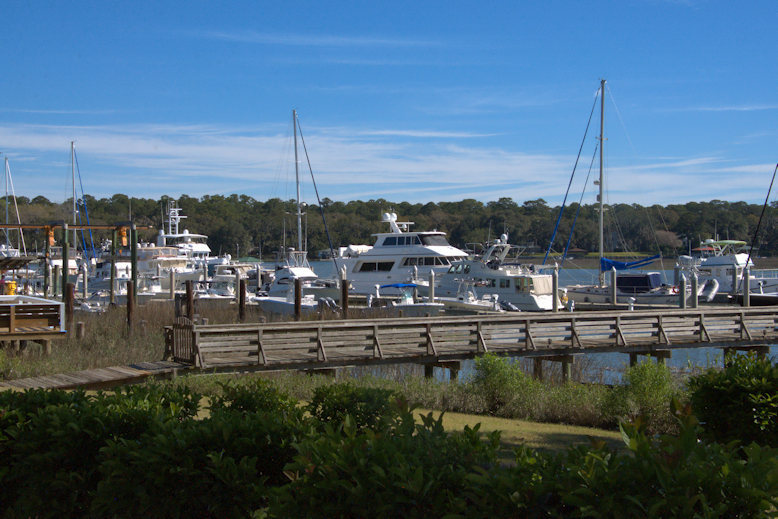 Many of today’s Isle of Hope adults worked for the marina in their youths as their first paying job. In 1962, Isle of Hope was filled with excitement! Gregory Peck, Polly Bergen, and Robert Mitchum were in Savannah filming the movie, Cape Fear. Several of the important scenes were filmed at the marina under the gaze of thrilled crowds of Isle of Hopeians. Isle of Hope lads Malcolm Harbison and Jim Sickel both had bit parts in the movie! Bill Brady retired in the middle 1970s and Neil Mingledorff became the next owner. In the mid 1980’s, real estate investors became interested in buying the marina and the houses on the Bluff that had been acquired over the years with plans to close the marina and build condominiums and develop the marina land for commercial uses. 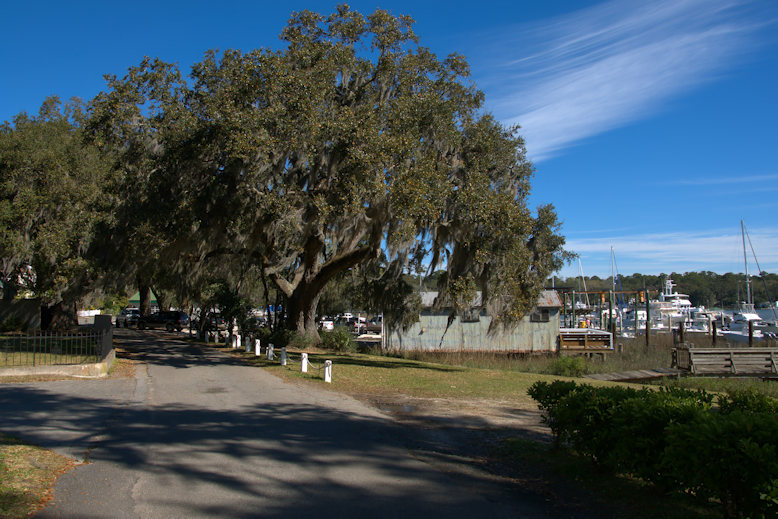 When the developers realized the strong opposition to their plans from the Isle of Hope residents, David Johnson stepped forward and purchased the marina operations, and the IOH Historical Association purchased the residential properties across the Bluff. The Association immediately resold the residential parcels to individuals who agreed to rehab the existing homes or construct new homes on the few vacant lots in compliance with guidelines established by the Association. Jack Oliver became the manager, and peace returned to the island. Today, Charlie Waller and his sister Kathryn Waller II, are the marina owners. 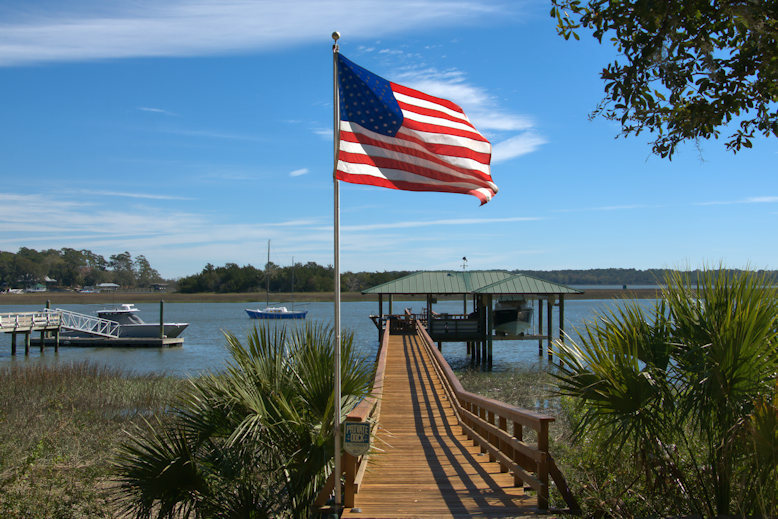 They have recently completely rebuilt and modernized the facilities to transform it into the most up-to-date, desirable, and sought-after marina on the Georgia coast. Mr. Wright has lived on Bluff Drive since 1944 and his history is worth reading. This is just a small part of it. 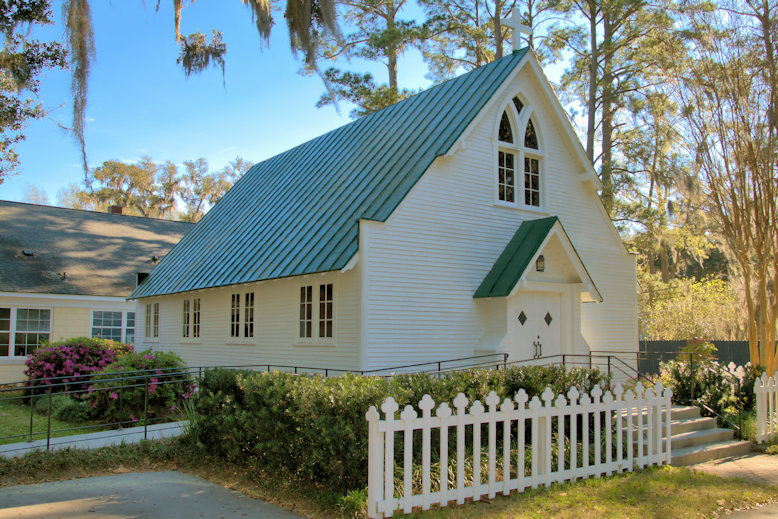 From the Savannah Diocesan Archives: Our Lady of Good Hope Chapel began as the novitiate of European Benedictines invited to Savannah by Rt. Rev. William Gross to minister to the former slave population in Savannah. After beginning St. Benedict’s Parish on Harris Street (now St. Benedict the Moor Parish, Savannah located on E. Broad Street) the Benedictines began their novitiate on the Isle of Hope in 1875. It only lasted for one year, being abandoned in1876 after the Yellow Fever Epidemic killed some of its community. Bishop Gross invited the Benedictine Monks of St. Vincent’s Archabbey (Latrobe, PA) to continue ministering to the former slave population in Savannah, and they came in 1877, taking up the mission on Isle of Hope. Soon after the Benedictines moved off of the Isle of Hope, but kept ministering to the congregation until 1888. 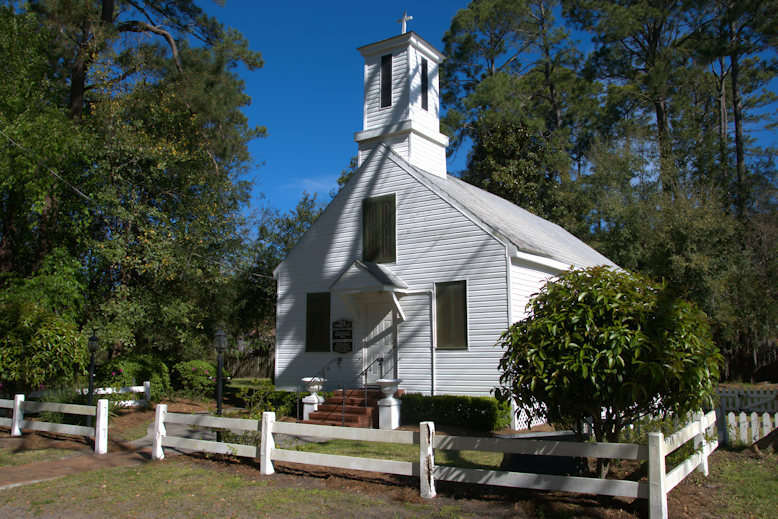 At this point, another monastery (St. Mary’s Abbey, Belmont, NC) took over the management of the Isle of Hope Chapel, and closed it. It does not reopen for 20 years. Sacred Heart monks minister to the congregation until the founding of St. James the Less Parish in 1949. Mass frequency is cut back to once a month as St. James’ boundaries include Our Lady of Good Hope’s congregation. After the initial 1875 conversion of house to a chapel, it was subsequently restored in 1908. A major restoration and rededication occurred in 1974. The conversion of an extant frame house into this chapel in 1875 represents the first Benedictine monastery in the South. 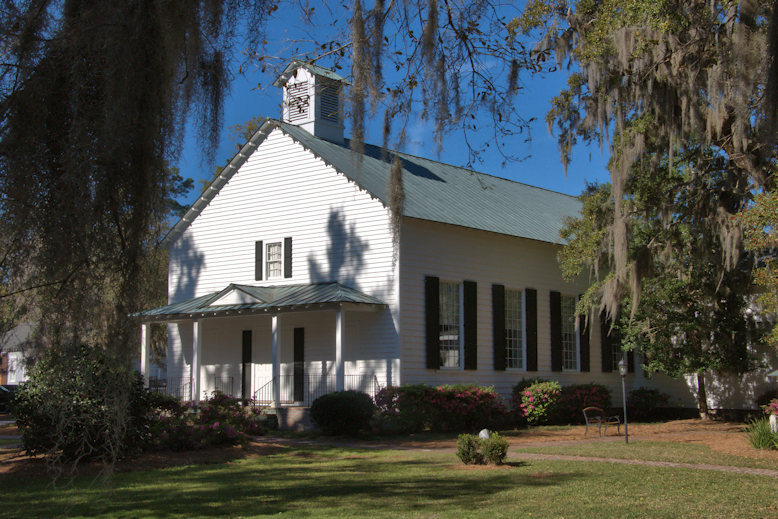 The marker placed by the Georgia Historical Society in 1962 notes, in part: The Isle of Hope Methodist Church was organized in 1851. The first Trustees were George W. Wylly, Simeon F. Murphy, John B. Hogg, William Waite, Theodore Goodwin, Thomas J. Barnsley and the Rev. William S. Baker. The church building that stands here was erected in 1859 on land given by Dr. Stephen Dupon. Its architecture is similar to that of the early churches at Midway and Ebenezer. The gallery at the rear of the church was built primarily for accommodations of slaves…During the War Between the States a Confederate battery stood on the church lot, mounting two 8-inch columbiads and two 32-pounder cannon. The church was used as a hospital for Confederates stationed in the area, the pews (still in existence) serving as beds. Thirty-three Effingham County soldiers sleep in the adjoining churchyard. St. Thomas Episcopal Church was established in 1922 and this chapel was built soon thereafter, circa 1923. While the congregation has outgrown it, it is still beautifully maintained and used for weddings and other special occasions. Tracking the history of this one is proving to be a challenge. It has traditionally been known as the Noble Glen House, presumably for the first owner, but that name has fallen out of use in recent references, likely due to the fact that Noble Glen died in 1816, before it was built. There is a gap in the history between its construction and its use by the Confederate Army as part of Camp Claghorn during the Civil War. 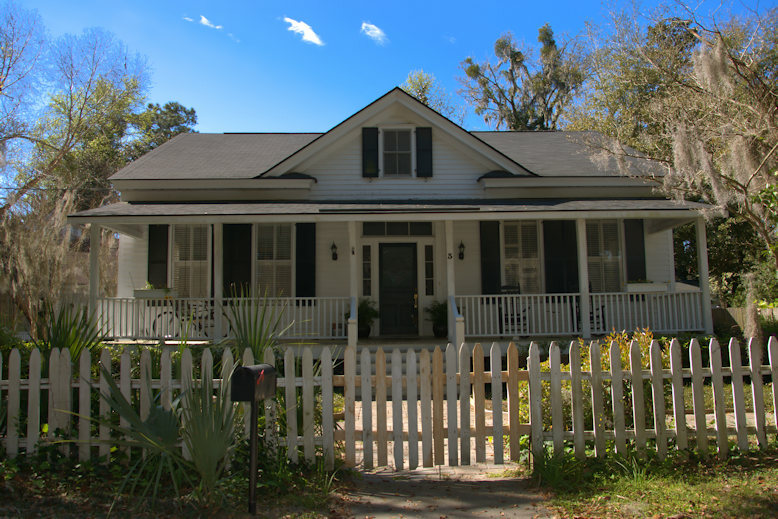 John H. Estill purchased it in 1888 and built a larger house overlooking the Skidaway River, retaining the Noble Glen House as a caretaker/gatekeeper cottage. Judge George W. Tiedman bought the estate in 1909 and renamed it Carsten Hall. The 1888 house burned in 1933 but the caretaker’s cottage survived. I will update as information becomes available.